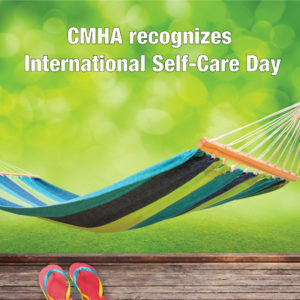 CMHA Ontario joins individuals and organizations around the globe in celebrating International Self-Care Day on July 24, which aims to raise public awareness of the importance of self-care to stay healthy and prevent or delay illness. This year’s theme ‘Feel Good, 7/24’, highlights the fact that the benefits of self-care are experienced 24 hours a day, 7 days a week. Mental well-being is recognized as a pillar of self-care. Prioritizing self-care can increase resiliency, which can be helpful when faced with problems, stress, and other difficult situations. 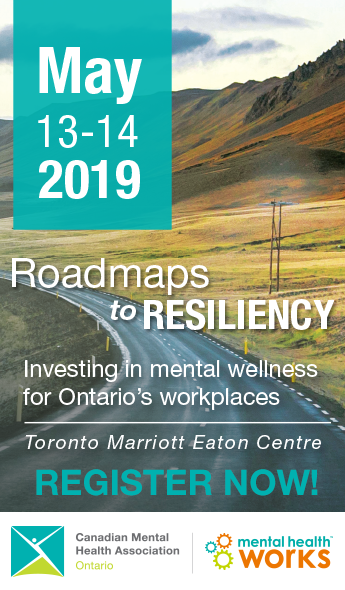 Many mental health programs provide strategies to improve resiliency skills like problem-solving, assertiveness, balancing obligations and expectations, and developing support networks. CMHA Ontario offers BounceBack®: Reclaim your health, a free skill-building program designed to help adults and youth 15+ manage symptoms of depression and anxiety. This self-guided program offers telephone coaching, online videos and workbooks which you can do from the comfort of your home. Workbooks and coaching are available in multiple languages. For more information, visit bouncebackontario.ca. For more on International Self-Care Day and the seven pillars of self-care, visit the event website.